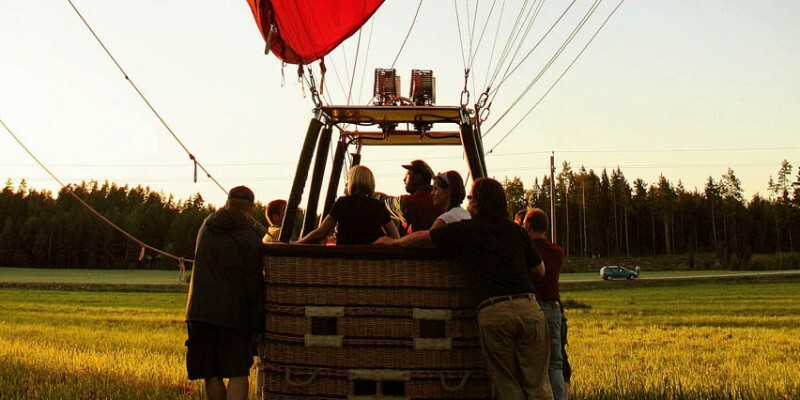 Hot-air ballooning is, as other forms of aviation, under the control and regulations of the Finnish Civil Aviation Authority. Aerohot performs public flights with the permission of the Finnish Civil Aviation Authority. Our pilot is one of the most experienced hot-air balloon pilots in Finland and he has the required license for public balloon flights. Aerohot’s balloon equipment is the most modern balloon technology and the Aviation Authorities check them regularly. Balloon flight is strongly dependant on weather conditions. The weather forecast is checked before the flight from the Finnish Meterological Institute’s weather forecast service. Public flights are only flown during favorable and safe weather conditions. Balloon flight is environmentally friendly. The pilots respect the landowners rights and properties. For many, hot-air balloons are a beautiful and pleasant sight and balloon landings are a welcomed happening. Hot-air balloon pilots are careful to respect the areas over which they fly.